Modi Sarkar is here. It is set to transform ‘urban India’. 100 smart cities, massive infrastructure, boast to real estate, affordable housing through developers, integrated technology and clean Ganga are few of its aims. On paper, these visions seem all glossy and attractive, however my concern lies in the fact that how much of the ground reality to these top down proclaims really incorporate. Just after the announcement of victory from Varanasi – came the declaration that 60 flyover shall be built in the city. What backed that decision? Was an integrated transport study ever conducted? Are flyovers really a solution to solve traffic woes? Haven’t we still learnt from various other cities across the globe? Developed nations are busy tearing off their flyovers and India shall build 60 flyovers in just one city! Thoughts like these scare me – urban India is set for transformation but are the citizens directing that transformation?! And then comes the idea of 100 new smart cities, like Dholera in Gujarat – bigger than even ‘Shanghai’. But then do we really want Shanghais in India?! 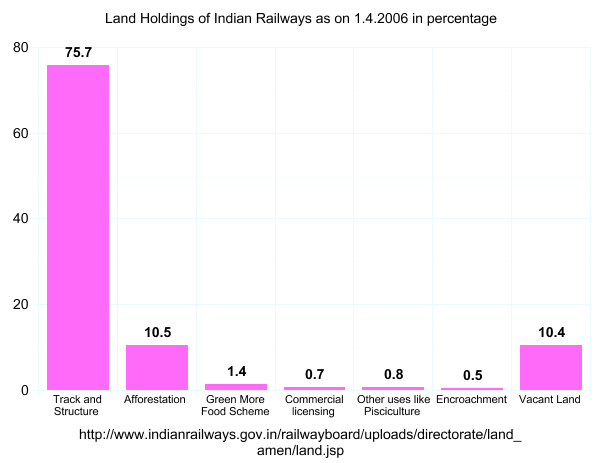 Are Greenfield developments a solution for India? The concept of smart city is welcoming, sustainability is welcomed, transit oriented development is welcomed. But are we taking far too quick and impulsive decisions to make 100 new cities – without assessing the existing potential of these sites to carry these new cities. As highlighted by Ayona Datta in her recent article India’s smart city craze: big, green and doomed from the start? , Dholera doesn’t have a ‘water source’ to hold the population it is envisioned to host. Twice the size of Mumbai, the ‘smart city’ of Dholera the critics say will be built in a flood zone and will dispossess farmers. And to make Dholera happen; a new Special Investment Region (SIR) Act was passed in March 2009. The act gives more power to the state to acquire land bypassing mandatory requirements of consent and compensation of the land acquisition act. Locals of course are revolting, but their plea reaches only deaf ears. BJP manifesto also promotes the idea of twin and satellite cities. But what about all the small and medium towns, which are really the hub of urbanisation? Migration is rapid in these cities and the rate at which they urbanise is much more than the first class cities. Instead of focusing on new cities shouldn’t the attention be now given to these small and medium towns and equipping them in infrastructure, facility, services and governance to be the new urban centres? BJP has already made plans to scrap flagship program of JnNURM in light of developing ‘new cities’ and directing all investment towards them. According to our newly appointed Urban Development and Urban poverty alleviation minister, Venkaiah Naidu ; “if we want moderately livable cities, we need new cities, not old ones with crumbling infrastructure and sprawling slums where land costs are simply unviable (Mumbai, for example, is simply unaffordable even to the upper middle-classes). The additional 300 million people who will head for cities over the next 20 years can either cram the Mumbais and Delhis and Bhopals of the world, or be diverted to new, planned cities with better amenities – like Lavasa in Maharashtra, which got into a controversy over legal issues, or Dholera in Gujarat. Assuming one million to be a good size for viable new cities, we need 300 new cities over 20 years. This means we need 15 new Lavasas with one million capacity every year.” Did the new minister forget that Lavasa has not even included a ‘space’ for the poor and the fact that it breaks many environmental norms. The next comes the idea of affordable housing through help of developers. India needs about 19 million low-cost homes—roughly defined as costing a million rupees ($16,700) and below—to shelter an urban population expected to nearly double to 600 million by 2030 from 2011. The strategy to be adopted is to make land more easily available to developers, and to provide them with incentives to build cheaper homes. Mumbai and Gujarat have already toyed with this strategy. Mumbai is overhauling its slum redevelopment authority (SRA) projects due to its failure, Gujarat is building on. To entice developers into low income housing can be a solution provided the rights of the poor are given and not compromised. Modi sarkar is full of ideas. Do you and I have a say in those? I think more than ever, we should start voicing our concerns and hopes. Now is the urgency for civil society to collectivise and shape the tomorrow of urban India. And more than ever, now, is the time the government should value our opinion and learnings. Modi sarkar which has huge online presence, may be should immediately come out with its portal for community participation on ‘urban issues’. The future of urban India should be carved out through a participatory process. Sarkar should listen to what the planners, designers and citizens (and not just those with lots of bucks) have to say for the urban India. Let’s not have top down decisions such as that of 60 flyovers woe away the urban citizens from what really is of importance. Let’s hope, ache din are coming – for all – built by us all, together! Need for a Comprehensive National Urban Policy: India with its 40% of population now in urban areas, still doesn’t have a national urban policy that looks into the aspects of urban development and governance. The urban sector has been much neglected, urban local bodies at urban level are not incapacitated, there is yet no means of addressing the need for jobs and livelihood for large influx of rural – urban and urban – urban migration, large villages that are pretty much ‘urban in character’ continue to be classified as villages, the socio- economic growth of urban areas at large is yet not addressed and neither has its true potential realised in respect to national growth. New government in coordination and consensus with State governments should formulate a ‘National Urban Policy’ that addresses these needs of the day. Need to strengthen the National Planning Process: In India planning process is implemented through five year plans since 1951. We are currently in our Twelfth Five year Plan. This planning tool of ‘Five year plans’ has laid much of its importance and outlook to rural development in the past for India. Now that the urban issues need to be recognised and focused upon, this tool of five year plans cannot be directly applied to ‘urban scenario’. The urban needs and characteristics with larger level of complexities require a strengthening of the National Planning Process. The planning process for urban areas need to recognise the critical need of infrastructure such as transport, water, electricity, housing etc in urban setup. At the same time at planning and policy level adequate attention needs to be given to the ‘informal economy’ that absorbs a large urban population in the most unstructured way. Our cities need to recognise and appreciate these informal workers whose faces we see in rickshaw pullers, vendors, rag pickers etc. A large number of ‘youth’ are migrating to urban areas and job creation becomes a critical and urgent need. Infact lot of crime and violence in the city can be reflected back to the lack of adequate employment opportunities in our cities. Adequate institutional strengthening at National level: At present the urban development is divided in the two ministries of ‘Ministry of Urban Development’ and ‘Ministry of Housing and Poverty Alleviation’. A single body that looks into and combines the visions of these two ministries is much needed for a holistic development of our urban centres. At the same time a dedicated nodal member at the Planning Commission that looks into matters of ‘urban development’ in specific is also required. Such institutional strengthening at the National level to address urban issues is the need of the hour. Capacity building at the state and local level: Even though decentralisation came in being at policy level in India long back, its translation on the ground is still missing. Urban local bodies do not have adequate capacity to plan, implement and finance urban development projects which are a clear mandate of these bodies. A lacking cadre in our urban local bodies also results in the staff being unwire of urban issues or with adequate training and capacity being designated responsibilities in these ULBs. Adequate attention to small and medium towns is required: Small and medium towns and cities have been most ignored in respect to national’s attention for planning, capacity building and financial support. Flagship programmes such as JNNURM focused only on large cities and ignored these small towns and cities. Towns such as Barely and Moradabad might offer great potential but are unfortunately ignored at both policy and planning level. Infact these small and medium towns are large catchment areas which not only see large influx of population from nearby villages but also offer an economical cost of entrepreneurship for these migrants when compared to their cost of living in large cities like Delhi. States like Punjab, Uttar Pradesh, Bihar etc. need urgent attention to these small towns that are quickly urbanising. This again reiterates the need for a comprehensive national urban policy. Integrated infrastructural development for urban areas: Technology and infrastructure needs are high in urban areas. Unfortunately these sectors do not work in unison as a result our urban areas lack basic level of services. Three sectors require urgent attention and their related departments need to work in an integrated fashion. The first sector is the energy sector. Here its various departmental sub-divisions such as nuclear, power, un-conventional sources etc. – all need to work ‘together’ to come towards a valid and sustainable solution for our urban areas. Similar is the case with ‘transport sector’ – here the railways, roadways, aviation, ports – all need to work in unison such that the urban user is catered to well. The third sector is housing where again the planning and development needs to be more integrated. Recognise the ‘potential’ of urban areas: Urban areas are not just significant for urban GDP but also for national growth. Once adequate attention is given to small towns and cities that are actually ‘source’ of various products to large cities such as agricultural produce – there can be a holistic development at national level.